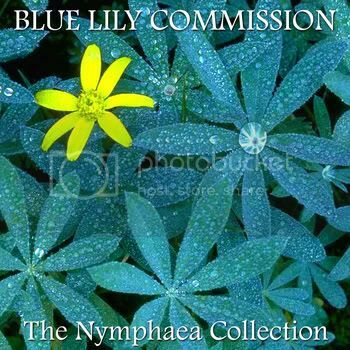 Today marks the first ever all-digital release of the entire Blue Lily Commission catalogue, including The Nymphaea Collection, premiered today only on Bandcamp, of four never-before-released tracks from the early days and two recent remixes. Blue Lily Commission began in 2000. I wanted to start a new recording project that would allow me to diversify into the ethnic (especially North African and Indian) music that I liked, but which also took from electronic music genres, merging the two into "future music from an ancient past." A lot of the influences in the early days were Egyptian, for instance in the art. As for the blue lily, nymphaea caerulea, it is a mildly psychoactive plant, today very rare, but in Ancient Egypt commonly growing along the banks of the Nile. Bandcamp is becoming a popular resource for artists who want to deliver their music directly to their fans. I have priced the individual tracks and the albums as a whole so that the album is the better option - all the albums are £5.00 each. But fans who like individual tracks and want to download them can do that easily. 85% of the money goes to me, so you are directly supporting the artist when you buy from Bandcamp. All the albums are there: Wine Songs (2000), In The Heart Of The Old City... (2001), Seshen And The White Jasmine Commission (2003), Eastern Evening (2005), Eve Songs (2008) and Bharatadubs (2009). The earlier albums were all remastered from the original digital files in 2005.